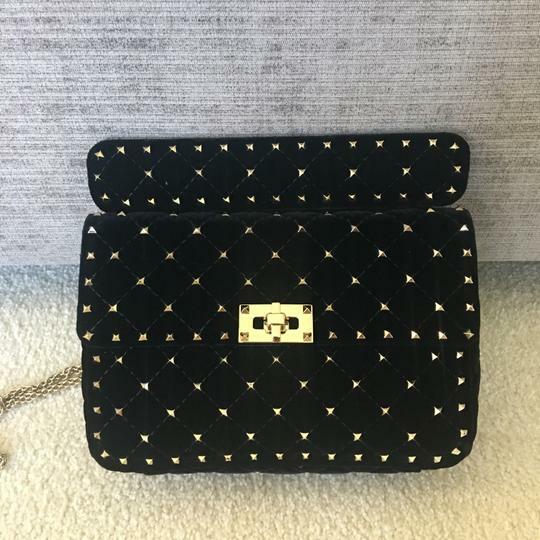 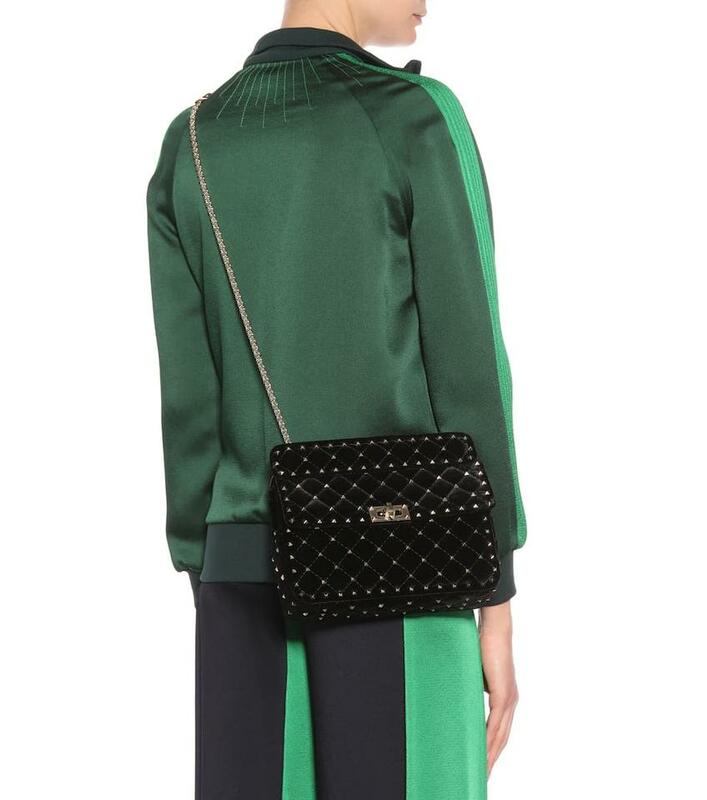 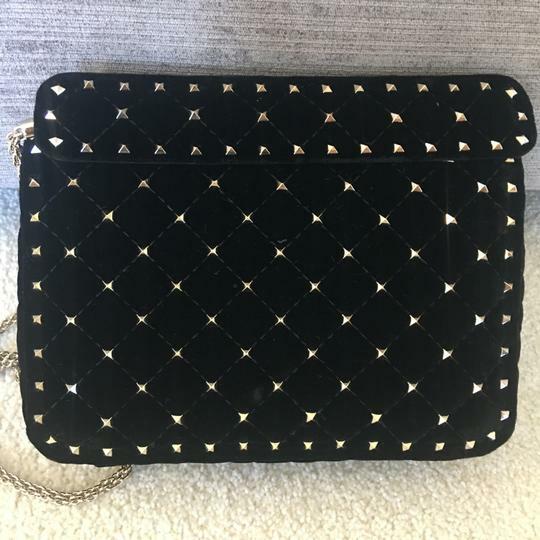 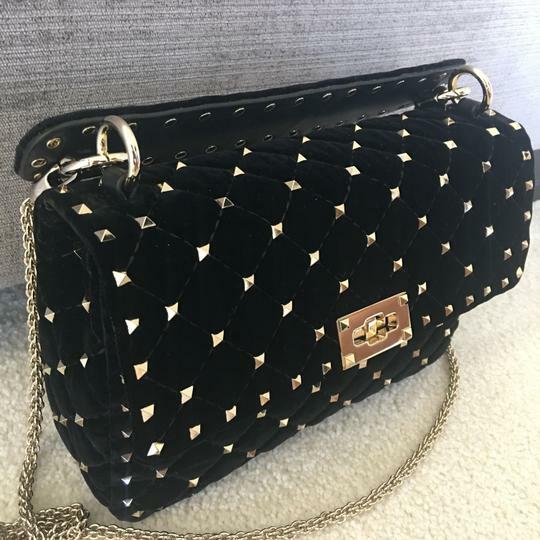 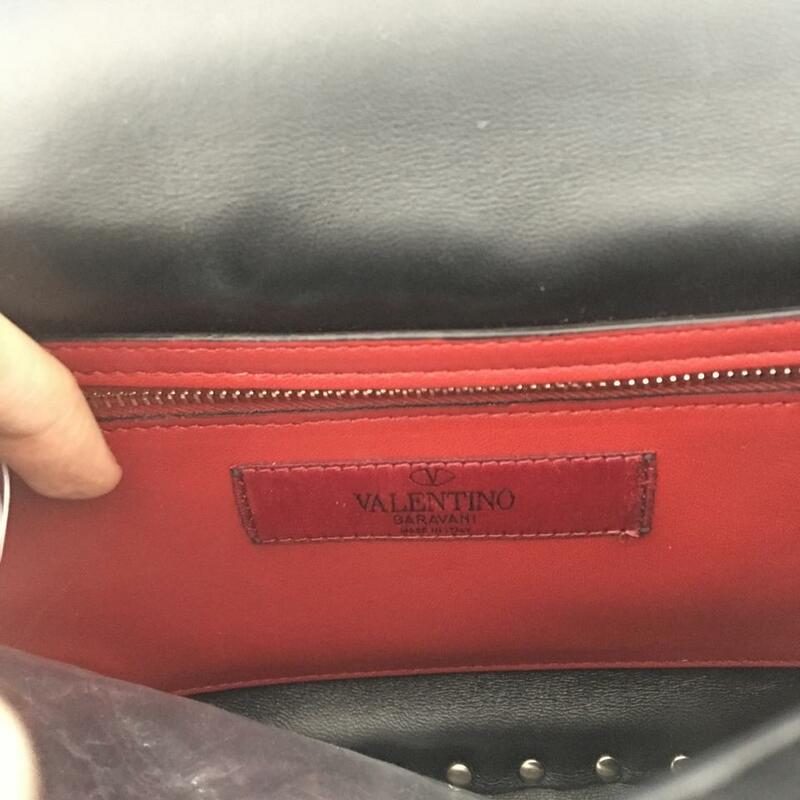 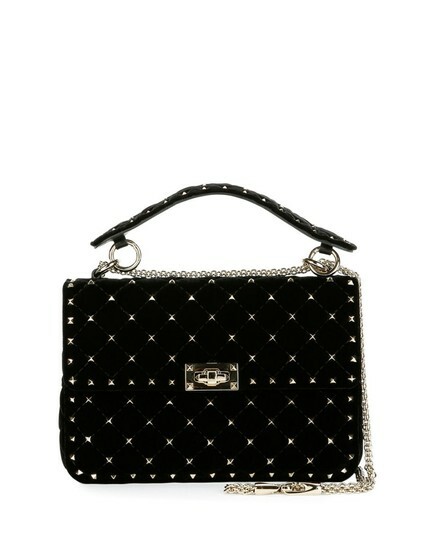 New authentic Valentino Garavani quilted velvet bag with signature Rockstud trim. 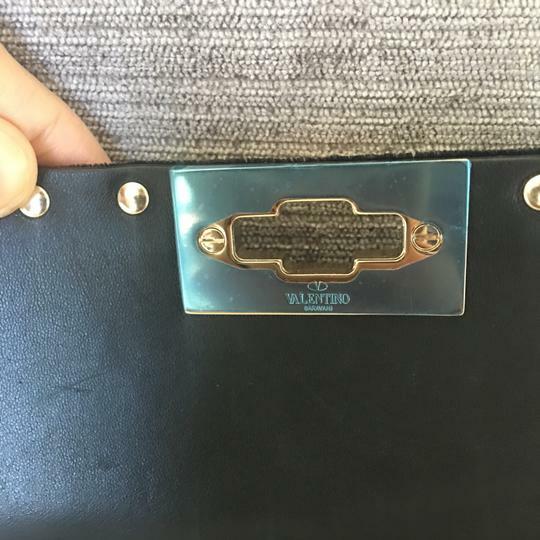 Flat top handle anchored by rings. 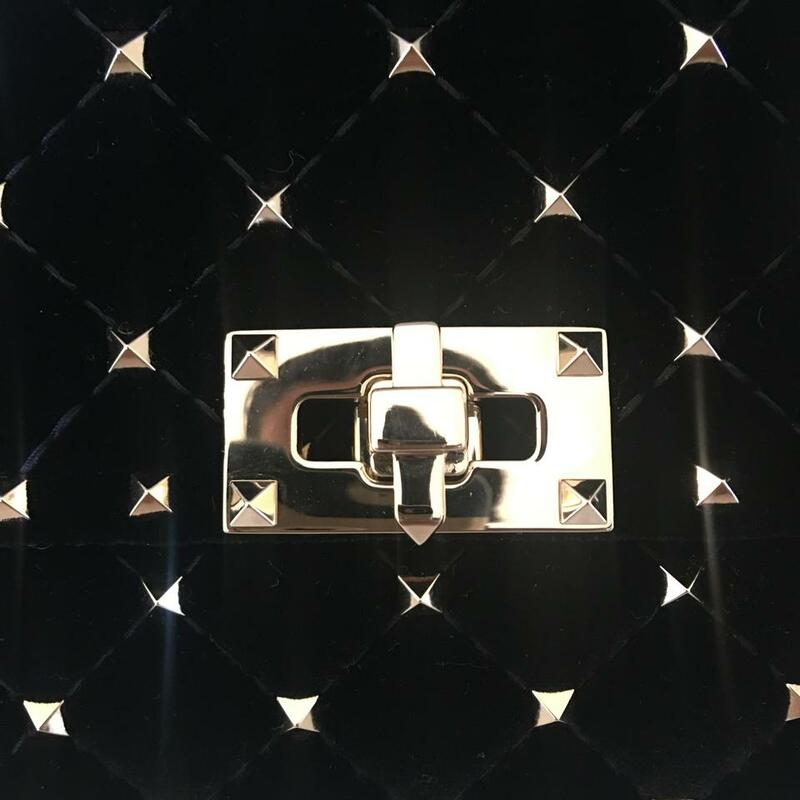 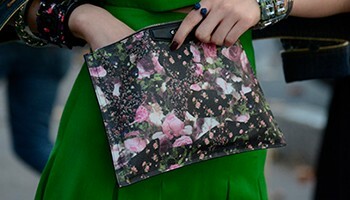 Flap top with turn-lock closure. 6.7"H x 9.5"W x 3.9"D.